When two people are madly in love, nothing can stand in their way -- not rain, not hail, not snow, not thunder, not lightning. 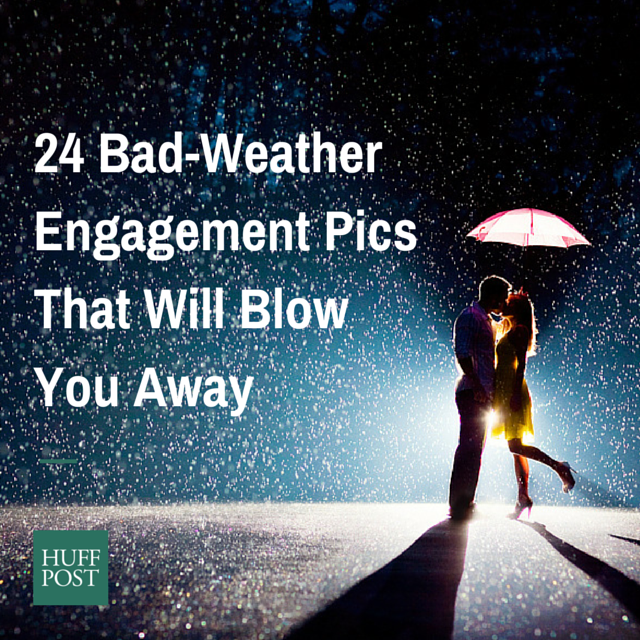 The 24 couples below are proof of just that. Instead of letting some crummy weather conditions ruin their engagement shoots, they decided to dance in the rain. Fortunately, their incredible photographers were there to capture these stunning shots.